Natural materials offer new avenues for innovation across fields, bringing together, like never before, natural sciences and high technology. Significant opportunity exists in reinventing naturally-derived materials, such as structural proteins, and applying advanced material processing, prototyping, and manufacturing techniques to these ubiquitously present substances. This approach help us imagine and realize sustainable, carbon-neutral strategies that operate seamlessly at the interface between the biological and the technological worlds. “Party people in the house, c’mon and let me hear you say yeeeaaahhh!” (Thomas Ostermeier, The Schaubühne production of Hamlet). “Talk about lowness! Any dog’s quantity of it visibly oozed out thickly from this dirty little blacking beetle” (Joyce, Finnegans Wake). Hamlet is on the move from what Michel Serres terms “solids” to flow (“riverrun”) in the socially and politically engaged theatre of Thomas Ostermeier and James Joyce. A few nights before I was due to give this talk at the Skellig Foundation Conference on Climate Change at the Royal Irish Academy Dublin, 2014, I went to see Thomas Ostermeier’s production of Hamlet for Berlin’s Schaübuhne at the Dublin Theatre Festival. I was so fascinated by the parallels between Ostermeier’s vision of Elsinore as just dirt and Joyce’s vision of Elsinore as a rotten, reeking graveyard in his version of Hamlet, Finnegans Wake, that I cast aside my introductory notes and argued that Joyce’s version of Hamlet belongs to the same tradition of explosive theatre as that of Ostermeier. Both men envisage Elsinore as an expanse of graveyard, a visual image of Hamlet’s emotional decay. Hamlet stands on the brink of emotional decay. The last person with scruples in a system with none, he struggles to maintain his grip on the paranoia and indecision that threatens to tip him over the edge. Mud-soaked and dangerous, spurred on by night-time visions and desperate for revenge, he forces the world to its knees. On and around a spectacular stage covered in earth, blood and water, Thomas Ostermeier’s thrilling production cracks with energy, immediacy and raw physicality. Six remarkable actors play 20 characters in Denmark’s corrupt court, breathing new life into this classic Shakespearean story of politics, passion, murder and betrayal. Joyce’s version of Hamlet is a Hamlet Inside Out, a Hamlet mis en abime, a Hamlet set in the reeking bogs of memory: “thought not Edam reeked more rare. My wud!”Joyce, Finnegans Wake; hereafter, FW). Using a zoom lens to catch his own conscience, he projects his vision of a corrupt court upon the landscape of his Munster forebears in “the Makegiddyculling Reeks” (Joyce, FW). Wearing this landscape like the inverted crown of a court jester, the crown of Shakespeare’s jester Yorick, he performs his own Mousetrap within the skull of “the grusomehed’s yoeureeke” (Joyce, FW). Here too, soil, dirt and mud take centre stage. 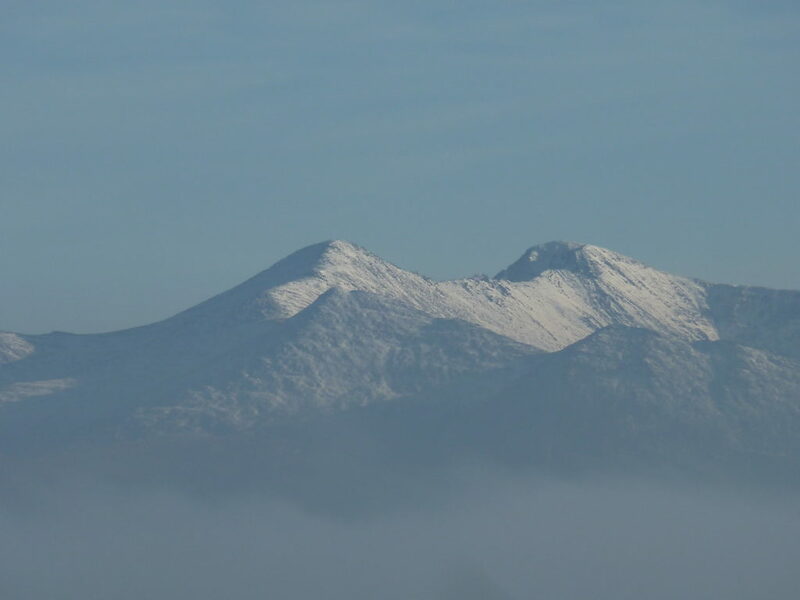 Joyce’s performance is set, it would seem, within Na Cruacha Dubha (meaning the “black stacks”) in the MacGillycuddy Reeks, a mountain range in Munster named for Anu the spirit of nature who presides over the people and the land. Two key differences between Joyce’s version of Hamlet and that of Ostermeier lie in the fact that Joyce’s Hamlet is not a revenge play and he himself plays all the roles: “The soil is for the self alone. Be ownkind. Be kithkinish. Be bloodysibby. Be irish. Be inish. Be offalia. Be hamlet. Be the property plot. Be Yorick and Lankystare. Be cool. Be mackinamucks of yourselves. Be finish. No martyr where the preature is there’s no plagues like rome” (Joyce, Finnegans Wake). Joyce’sHamlet is a Hamlet who stands before the law of the “Monster” man his Munster forebears had helped to create and acknowledges himself guilty. Penitent, guilt ridden, he hosts the dirt, the earth, nature itself, its rivers, seas and mountains and sets out on the purgatorial journey into memory that will pave the way for the emerging discipline we know as the Environmental Humanities. As he travels out in a great wind storm of dirt and dust into deep time, he layers his story simultaneously onto Shakespeare’s Mousetrap plot in Hamlet and onto the archaic pilgrimage tradition known as glas martyrdom. As he travels “on the spot,” he sings “Yet sung of love and the monster man” (Joyce, FW). Europe is the Hamlet in Joyce’s work that stands on the brink of emotional decay. As a representative of this Hamlet of Modernity, Joyce sets out on a pilgrimage into deep time and into his own psycho-geography. He does not travel alone: as “boo”—the ghost of Modernity–he is one with his environment. His Latin Quarter home in the Paris of the 1930’s is fused here with “the lootin quarter” (Joyce FW) home of his forebears in the Munster of the 1670’s, the music-room in the brain of Irish culture. Mud-soaked and penitent, he travels on his knees like a beggar with a bowl into deep time and into the ancestral home of Moore in Sliabh Luachra, a region where his own forebears had settled as master-builders for the daughter of Cromwell’s map-maker Petty in the decades after Shakespeare had written Hamlet. Joyce’s version of Denmark’s corrupt court is the Lixnaw home on the River Brick of this child of Petty. The language of Finnegans Wake, the flueve musicale Joyce describes as “riverrun” flows “backwords” towards this “dinmurk,” this site of buried grief and guilt Joyce represents as a kind of connectopathy in the brain, a gaping hole in “the dreams of accuracy as any camelot prince of dinmurk” (Joyce, FW). We watch him as he takes a nosedive into deep time, flowing from the solid world of the “cemented brick” “backtowards motherwaters” (Joyce,FW) in the spiralling river of deep time. The roles he plays are those of accuser and accused, both usurper and usurped. As the descendant of the master-builders who damned up the River Brick and blocked the flow of the rivers of Munster which sprang from the great water-table of Munster inTeamhair Luachra to create a pleasure garden for their colonial employers, he is obliged by the laws of Eric preserved in the Seanchas to return the gift his forebears stole: he must host nature, ecological intelligence, musical intelligence, and, in particular, the music of Thomas Moore whose harp ghosts this talk. In the extraordinary performance of Munster law that is Finnegans Wake, Joyce weaves the music of Moore into the song of all the rivers of the world and as the embodiment of this river of music, this “riverrun,” he sets out on his great purgatorial pilgrimage to hook up his story, the story of Modernity as Waste Land, with the musical/ecological intelligence of the “Monster” Man. Anticipating Beckett’s poignant image of the friendship shared with Joyce as they walked together around the Isle of Swans in Paris in Ohio Impromptu, he envisages this great “hook up” as a dream vision of two rivers flowing into one. What Joyce is picturing in his comic tale of the meeting of the waters, “the meeting of the waitresses” (Joyce, FW), is the restoration of the idea of ecological intelligence bound up with the sacred Bile or Life Tree. Joyce breathes new life into this classic Shakespearean story of politics, passion, murder and betrayal by turning it inside out and confessing that the earth, nature, the rivers themselves, are not separate from us, they are us : “The soil is for the self alone. Be ownkind. Be kithkinish. Be bloodysibby. Be irish. Be inish. Be offalia. Be hamlet” (Joyce, FW).